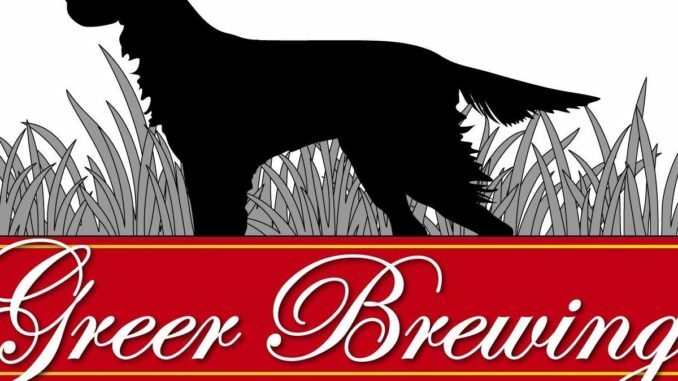 We have seen quite an explosion of new beermakers opening their doors in 2017 and the list grows again today as Chris Greer makes his debut with the opening of Greer Brewing in Ellisville. The doors will open at 11:00 a.m., June 24, with four of house beers on tap. They will also be serving two red and two white wines, soda, free water, and a Hefeweizen shandy. The food menu includes – Bratwurst Sliders, Irish Nachos, Hummus, Meat and Cheese plate, Deli Dogs, and Soft Twisted Pretzels with beer cheese and spicy Peruvian sauce. Two last things – there is no parking on Covert Lane. There is a sign already posted. Finally, if you are going west on Manchester making a left hand turn into our parking lot is apparently illegal even though there are no signs posted. I would suggest going to Old State Road, make a left, then an immediate left into the bank’s parking lot which has a U-turn lane that dumps you back out to Manchester. It is much easier and safer. It takes a lot of guts and family support to walk away from a life to brew beer. While I didn’t have the balls to walk away and put it on the line, that spirit continues in today’s local brewing world, with such stories permeating the current scene as well as the explosion of new brewers entering the fold in 2017. One such brewer you should get excited about is Chris Greer and Greer Brewing. No risk no reward, right? The brewery is west St Louis County’s first locally owned microbrewery and occupies a long vacant piece of property in Ellisville, located at 16050 Manchester Road (formerly known as Ed’s Lawn and Garden). Greer spent 2 years looking for a location which could bring locally produced beer, enjoyed on premise, to this market. The dream of owning a brewery was a major career change for Greer who spent 18 years in management with UPS wearing a variety of hats including operations management, finance, engineering, sales, and marketing. The Brewers Association cites that most of the US population lives within 10 miles of microbrewery. “There are a number of breweries in the St. Louis area producing exceptional beer. The issue is this part of town has none. I wanted to fill that void and bring the tasting room experience to my neighborhood,” said Greer. Renovations on the 12,000 square foot structure began over Thanksgiving of 2016. 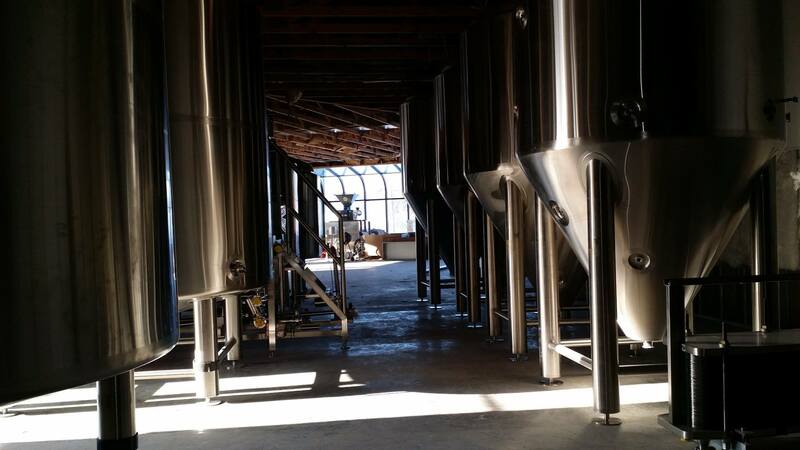 Greer Brewing will begin operations with a 15 barrel brewhouse visible from the tasting room. A cold kitchen will flank the brewing area and will provide limited menu items. The taproom at Greer Brewing Co. 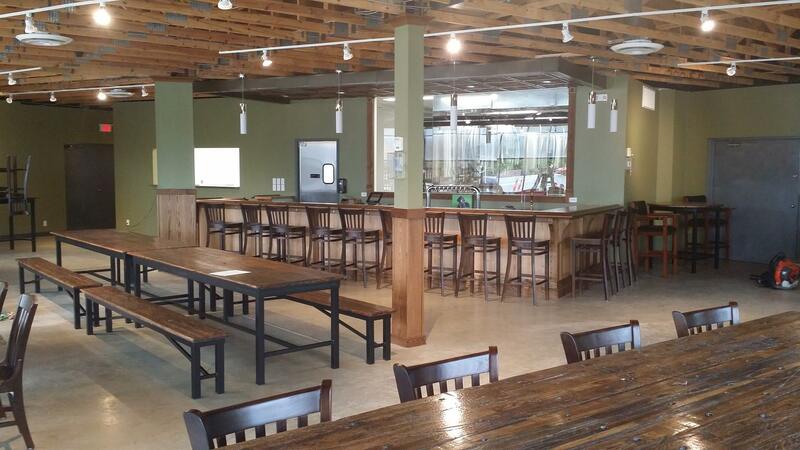 The tasting room features tables and benches made from reclaimed oak cargo planks all hand built by Greer. The brewery will rotate 8-10 style focused beers ranging from Helles Lagers to Dark Strong Belgian Ales, and everything in between. The plan is to build a local retail base through the tasting room, and gradually increase distribution to area bars and restaurants. “In the last year there has been resurgence on the south side of Manchester Road. I am proud to say that we are part of that rebuilding. The city was excited about the project when I brought it to their attention last March. I applaud and thank their support. This is something unique and different that the area lacked. 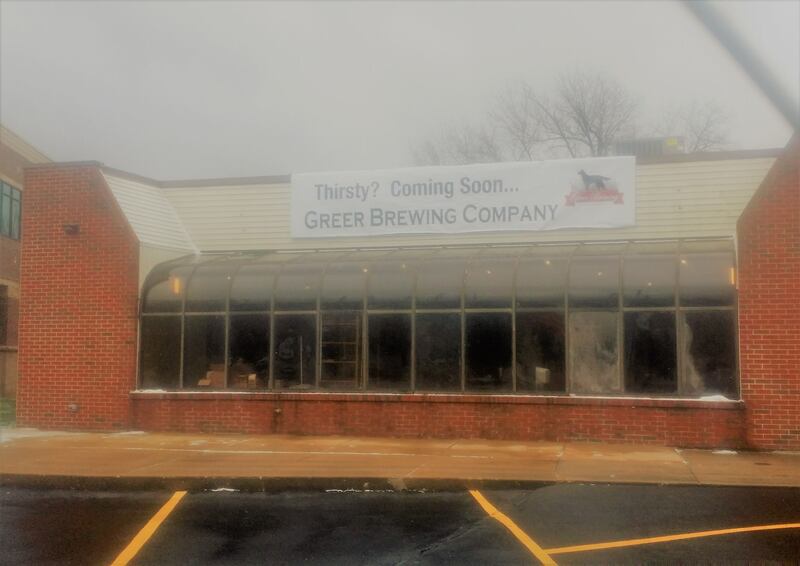 I want this to be destination providing great beer, a distinctive space for people to socialize, and play an active role in the community,” said Greer. What beers do you hope to open with? I have the capacity to have 5 beers fermenting at any time. 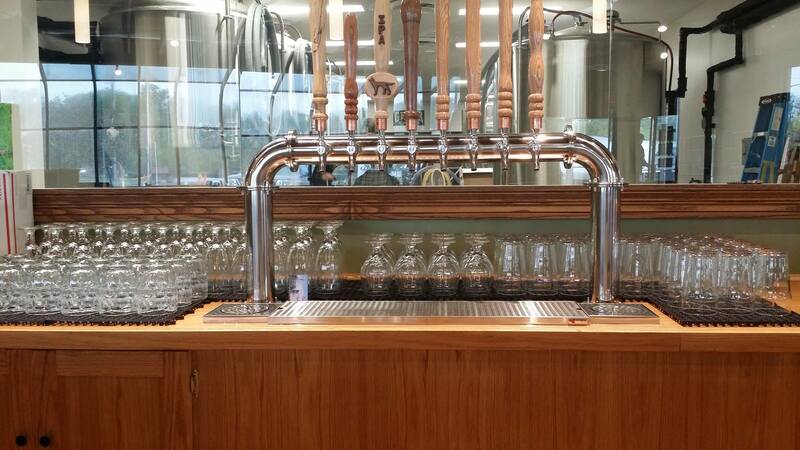 We will have 8 taps and 1 beer engine. In a perfect world we would like to open with 9 different beers (2 lagers, 6 ales, and something on cask). The reality is we will probably need to work up to that due to time constraints. The starting lineup may look like this: Vienna Lager, IPA, ESB on cask, Red Ale, and a Belgian. I am very fond of tradition and prefer to brew to style rather than blaze a new path and throw a bunch of malt, hops, and spices into a kettle. Don’t get me wrong, I am not opposed to any of the exotic offerings that are currently on the market. It’s just not what I want the brewery to be. When it comes to beer I am a purist and focus on classic styles. I enjoy reading about the history and tradition of how beer styles were developed and the regions they were developed in. We will make a few experimental beers for fun but our core beers will be the classics because they have worked and it’s what I like. Inspiration comes in a multiple forms. Most of it is the tradition. Some of it is from taking specific elements that I like from different beers and attempting to marry and balance those elements in a single beer. Other times friends will ask if I can make a beer with a certain flavor profile and I give it a go. After dinner a few years ago my wife and I were in our kitchen having a beer that I brewed a couple of weeks earlier. The kids were getting ready for bed and we had had time for a quick chat. That’s when I dropped the news about wanting to open a brewery. Her only words were, “I’m not a dream killer…show me a business plan.” Here we are a little more than 2 years later close to achieving it. What will we notice about the beer you brew? I shoot for balance in every beer, but don’t mistake balance for blandness or boring. Without sounding like a rebel or pessimist I never gave much thought to picking out the different subtleties in my beer. I tried, but found through scotch tasting experiences it is a very subjective process. I enjoy the process of brewing beer. I prefer to develop my flavors from malt and hop selection versus spices. Most of my beers use English and Continental hops, besides the IPA (single hop Centennial). I tend to lean forwards the malt for flavor, more so, than the hops..
Copper color, dense persistent head, doughy/biscuit like aromas, medium body with subtle hints of caramel/sweetness, which quickly dries out with noble hops. Intense tropical fruit aroma, medium body with clean malty/grainy background notes offset by powerful, but not overly assertive bitterness. A sessionable treat at this low ABV and traditionally served at 54 degrees through the cask engine. Low carbonation, crisp, and clean.